The final round of the 2014 British Superbike Championship at Brands Hatch this weekend will see Honda Racing’s Julien Da Costa take to the track in his final wild card entry of the season aboard the winning ‘Honda Hero’ liveried CBR1000RR Fireblade, designed by Isle of Man TT star Conor Cummins. The design is the third and final special BSB livery of the 2014 season in readiness for Honda’s full return to the British Superbike Championship in 2015. Cummins design was among eight created by several ‘Honda Heroes’ in a design competition whereby fans voted for their favourite special edition livery from a gallery on Honda.co.uk. The ‘Blue Lightning’ creation from Isle of Man TT ace Cummins was a clear winner, receiving almost 5,000 votes. Other budding artists taking part included three times British Touring Car Champion Matt Neal with his ‘Jaws’ design, and Superstock Champion Jason O’Halloran’s ‘FS3’. The three wild card liveries will be on display at the Honda stand at Motorcycle Live in November. Visitors will also be able to see the famous Urban Tiger tribute, which first appeared on the track at Snetterton in June, as well as the eye-catching special Motorcycle Live livery. Advance tickets for Motorcycle Live are on sale now priced at £17 per adult, £11 for seniors and £7 for children aged 11-16. Children aged ten accompanied by a paying adult go free. To book please call 0844 5812345 or visit www.motorcyclelive.co.uk. 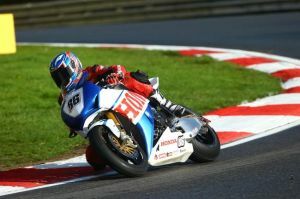 Be sure to follow us on our Facebook and Twitter channels for all the BSB and Honda Motorcycle action throughout the year. You can also follow the conversation by using the hashtag #HondaBSB.